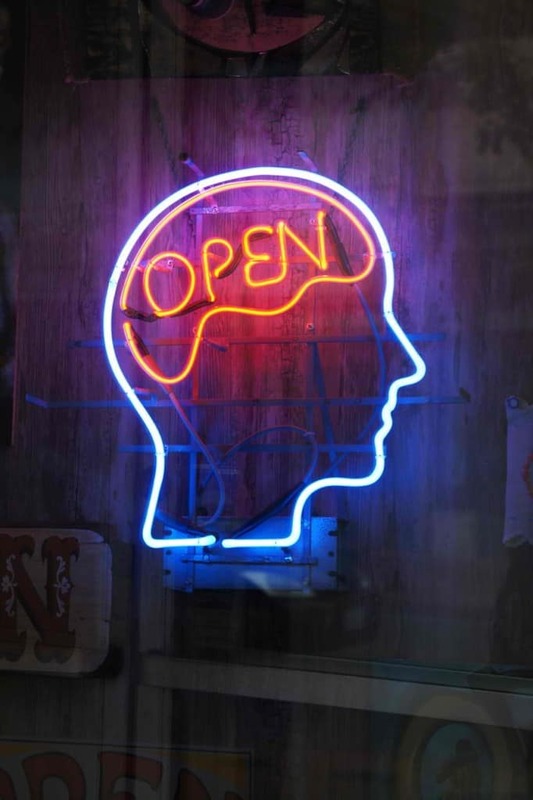 The 6th Essential to Trading Success is staying OPEN MINDED. Nobody has the ability to consistently predict PRICE. My trading methodology provides a statistical edge based on previous price structure and patterns. However, I can not predict where any stock goes. I try to provide the highest probability trades based on calculated entries with defined risk. I strive to exceed >75% win/loss ratio over the long term(which I have provided so far). When you have too much conviction, you can often suffer your largest losses. This causes you to raise your trading size(based on increased conviction). If you stay balanced and OPEN MINDED, this will prevent you from being over-aggressive on any trade idea. In order to keep you risk management in line, you need to always stay OPEN MINDED. Draw your line in the sand, where you are wrong(and use stops). Remember, for every bull there is a bear. You are only as good as your profits and losses show. If you stay OPEN MINDED you will increase your probability of long term trading success. 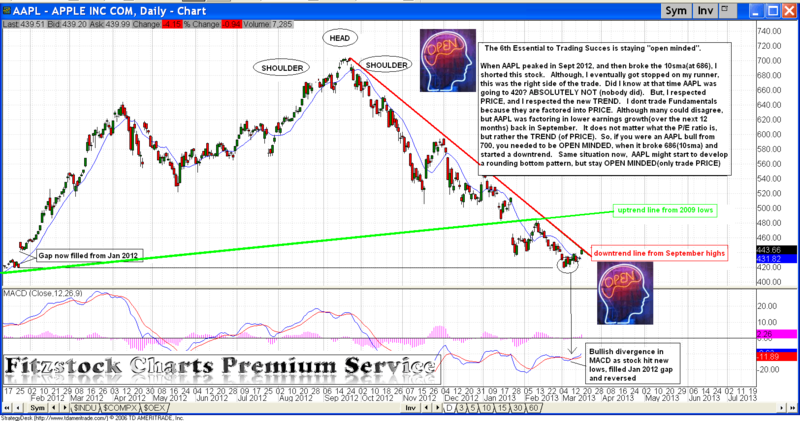 I have attached a chart of AAPL showing how important being OPEN MINDED was. Never fall in love with any stock, and always TRADE PRICE.